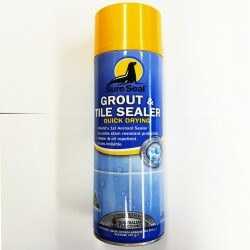 Sure Seal Sealant There are 9 products. 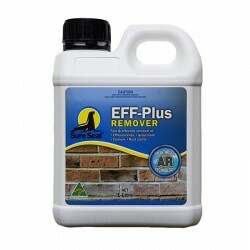 Sure Seal® EFF-Plus Remover is an advance in the chemistry of removing efflorescence, grout haze, cement, rust stains and other contaminants from bricks, stone, tiles, concrete mixing equipment, newly laid floor tiles and a variety of other surfaces. 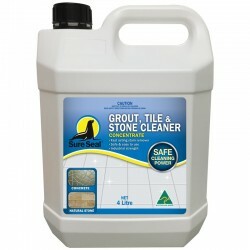 Sure Seal® Grout, Tile & Stone Cleaner is a heavy duty, water-based, hard surface degreaser specifically formulated using the latest revolutionary solvent technology to remove grease, dirt, grime and soot from all surfaces..
Sure Seal® Grout, Tile & Stone Cleaner is a heavy duty, water-based, hard surface degreaser specifically formulated using the latest revolutionary solvent technology to remove grease, dirt, grime and soot from all surfaces. 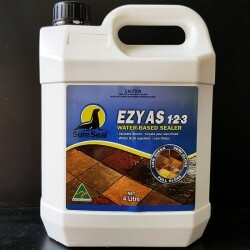 Ezy-As 1.2.3. a sheen-based impregnator for interior and exterior unpolished surfaces such as slate, pavers, terracotta, limestone, concrete. 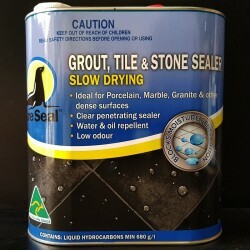 Sure Seal Porcelain Aerosol CanThis slower drying impregnator in an aerosol can is specifically formulated to seal and protect porcelain, marble, granite and all polished stone surfaces against oil and water-based stains.Pick up & deliver to Sydney & Melbourne metro area only. 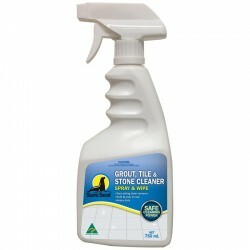 Sure Seal Quick Dry Grout & Tile Aerosol Sealer 300gmIt provides superior protection to the toughest porous surfaces such as sandstone, bluestone, travertine, concrete, terracotta, slate, grout and other porous masonry surfaces.Pick up & deliver to Sydney & Melbourne metro area only. Sure Seal® 24/7 Stone Impregnator is a non-flammable, environmentally friendly, water-based impregnator that is used as a superior impregnator/sealer on all types of stone to help prevent oil and water-based stains. 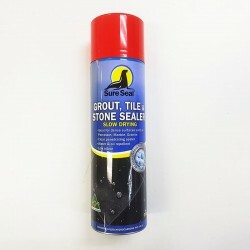 Sure Seal® Impregnator for Porcelain is a slower-drying impregnator specifically formulated to seal, specifically formulated to seal porcelain, granite and marble, but works equally as well in preventing oil and water-based stains on all types of tile and masonry surfaces. 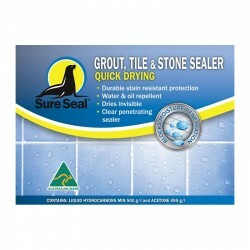 Sure Seal Quick Dry Grout, Tile & Stone SealerIt provides superior protection to the toughest porous surfaces such as sandstone, bluestone, travertine, concrete, terracotta, slate, grout and other porous masonry surfaces.Pick up & deliver to Sydney & Melbourne metro area only.